The Sundridge Sunflower Festival is organized every year by a committee of dedicated volunteers. 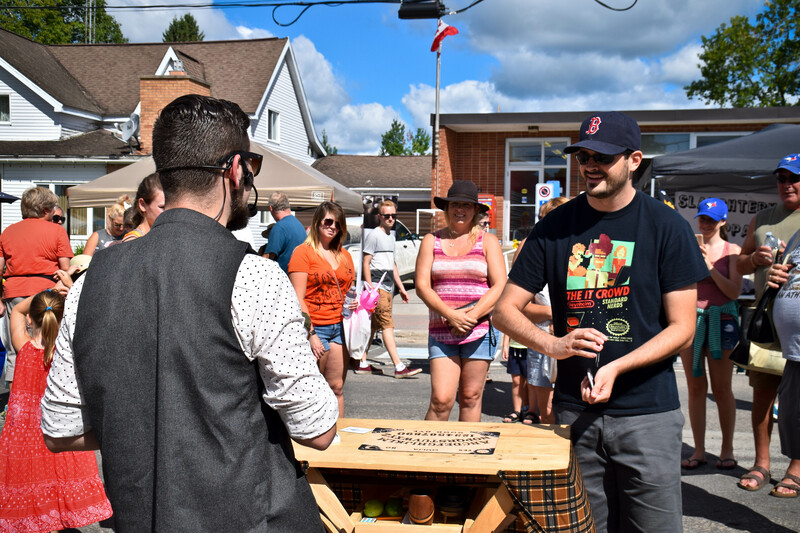 This committee works year round to make the festival better, year after year and the 2018 Sundridge Sunflower Festival is no different. We are proud to announce the 2018 Sunflower Festival will have 8 live music performances on two different stages, plus the Family Fun Zone (sponsored by Pascoe Rental and Events) will feature FREE inflatable rides, Reptiles Demonstrations, Magician: Lukas Stark, Rusty the Clown and Children’s games and activities by Bethel Church. Throw in our annual Mutt Show for children and adults and we have the most entertainment the Sunflower Festival has ever had. The warm up to the 2018 Sundridge Sunflower Festival begins on Friday August 10th, with the Sundridge Royal Canadian Legion WING NIGHT Dinner followed by the Sundridge Royal Canadian Legions KARAOKE night. The real fun began on Saturday August 11th with the Sundridge-Strong Volunteer Firefighter’s pancake breakfast at the Sundridge-Strong-Joly Arena. Come out and support the local Firefighter’s association and have great breakfast while you are at it. 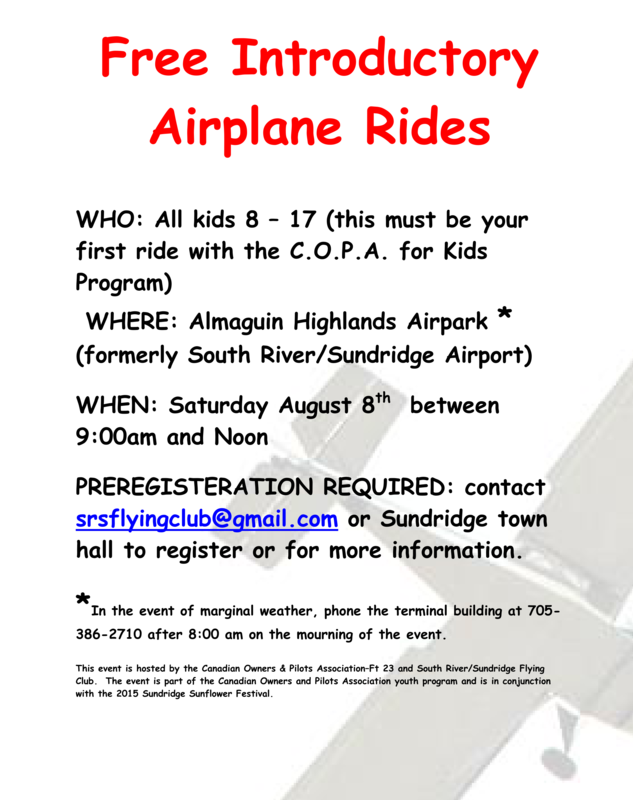 Take the courtesy shuttle from the Arena to Sundridge’s Main Street where the opening ceremony begin at 9:30 AM. The street will be closed to accommodate for the Main Street Street Market which will be in full swing. With over 120+ vendors from all over Ontario. You will be able to find just about anything from jewelry to lawn tractors. Acoustic Live Music will be playing on the Main St will fill the streets as you shop and walk down Main street. Down at the Waterfront (Lion’s Park) is where the Family Zone will be with Live music, great food, children’s activities/games, inflatable rides, live reptile demonstration, Rusty the Clown and Lukas Stark magician. The Sundridge Lion’s Club will also be having their annual BBQ at the park and be sure to check out the Splash Pad while you are there. At 1:00 PM make your way to the Sundridge Municipal building parking lot for the Mutt Show (dog show). The children’s show starts at 1:00 PM, followed by the the adults show at 2:00 PM. There will be all sorts of prizes. Don’t forget about the Saturday Night Street Dance starting at 8:00 PM and hosted by DJ2. Here’s your chance to dance into the streets with great music and great people.